The Sauber name will disappear from Formula 1 as the team officially becomes Alfa Romeo Racing. The Sauber name is to disappear from Formula 1 after it was announced on Friday the team would be rebranded as Alfa Romeo Racing ahead of the 2019 season. Sauber linked up with Alfa Romeo in late 2017 as part of a new partnership between the team and the Italian manufacturer, and raced through last year as the Alfa Romeo Sauber F1 Team. However, the Sauber name will be dropped completely for 2019, with Alfa Romeo's parent company, Fiat Chrysler Automobiles, confirming the rebrand to Alfa Romeo Racing. "The 2019 Formula One World Championship will see two of the most historical brands in motorsport - Alfa Romeo and Sauber - return to circuits across the globe with 2007 World Champion Kimi Räikkönen and the young Italian Antonio Giovinazzi driving for Alfa Romeo Racing, formerly referred to as the Alfa Romeo Sauber F1 Team," a statement from FCA reads. "Just one year after it was founded on the 24th June 1910, Alfa Romeo made its debut in an official competition, winning the first Regularity Race in Modena. Since then, its sporting legend has been a string of victories and top-three finishes in many international championships, including Formula One. In 2019, the cars of Alfa Romeo Racing will sport the time-honoured four-leaf clover emblem that since 1923 has identified the fastest Alfa Romeo models. "The long-term partnership between Title Sponsor Alfa Romeo and Sauber was initiated in 2018. Over the past year, the Team made continuous progress and finished the championship in 8th place. The term of the collaboration has been further extended, with the ownership and management of Sauber remaining unchanged and independent. As Alfa Romeo Racing, the goal continues to be the achievement of ambitious results at the pinnacle of motorsport." Alfa Romeo Racing team principal Frederic Vasseur said: "It is a pleasure to announce that we will enter the 2019 Formula One World Championship with the Team name 'Alfa Romeo Racing'. "After initiating the collaboration with our Title Sponsor Alfa Romeo in 2018, our team made fantastic progress on the technical, commercial, and sporting side. This has given a boost of motivation to each team member, be that track-side or at the headquarter in Switzerland, as the hard work invested has become reflected in our results. Mike Manley, CEO of FCA, added: "Alfa Romeo Racing is a new name with a long history in Formula One. We're proud to collaborate with Sauber in bringing Alfa Romeo's tradition of technical excellence and Italian panache to the pinnacle of motorsport. "Make no mistake: with Kimi Räikkönen and Antonio Giovinazzi on one side of the pit wall and Alfa Romeo and Sauber expertise on the other, we are here to compete." Sauber made its F1 debut in 1993, operating as an independent before becoming BMW's factory team in 2006, leading to a second-place finish in the constructors' championship in 2007 and its only race win to date at the 2008 Canadian Grand Prix. BMW withdrew from F1 at the end of the 2009 season, prompting Sauber to become a Ferrari customer team, with its ties to the Fiat-Chrysler Group being strengthened in 2017 when the deal was struck to bring the Alfa Romeo name back to F1 after 30 years away. 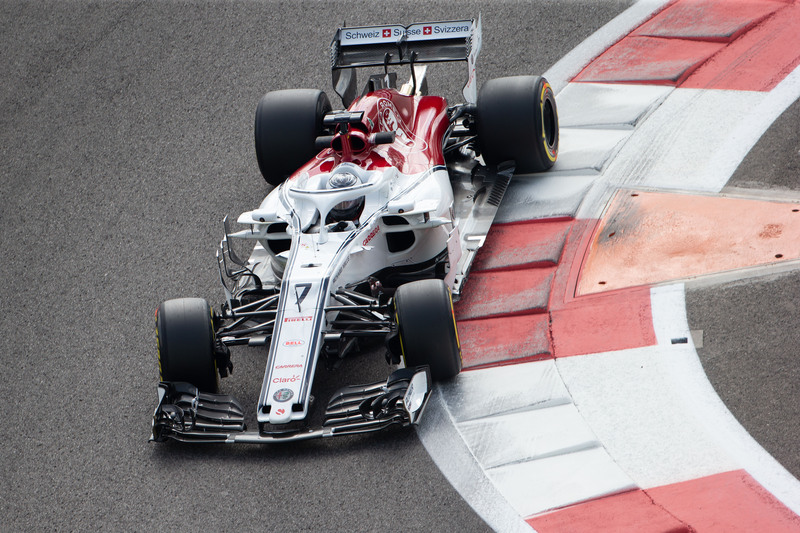 Alfa Romeo Sauber finished eighth in last year's constructors' championship with Charles Leclerc and Marcus Ericsson, but will field an all-new line-up in 2019 with Raikkonen and Giovinazzi.